Lottery winners are often featured in the news. We’ve all read about the wild parties, the outrageous shopping sprees, and the epic financial fails, but rarely do we get to see lotto winners involved in the community. 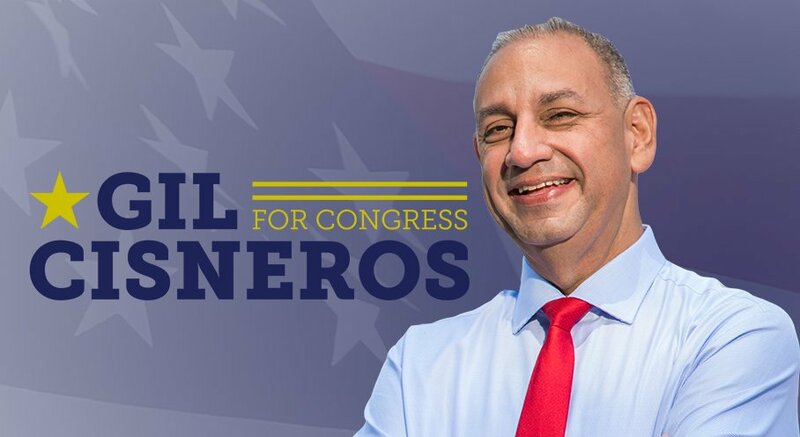 Mega Millions winner Gil Cisneros from Los Angeles is certainly making a difference as he is running for Congress. Mr. Cisneros and his wife, Jacki, won $266 million in the Mega Millions back in 2010. They were invited on The Oprah Winfrey Show after their win and they quickly became America’s lotto sweethearts. Now, in 2018, they are back in the spotlight because Gil intends to unseat Ed Royce in the 39th Congressional District. He is a member of the Democratic party and a Navy veteran. Since 2010, Gil and Jacki Cisneros have started two nonprofit organizations aimed at improving education options for Latino students. The two Mega Millions winners have set up scholarship programs and they have truly made a difference in their local community. But now, Gil Cisneros is stepping up. “I think there’s an injustice going on in this district with Ed Royce, who hasn’t really served the community,” he said. His plan for Congress is focused on healthcare and he opposes Royce’s vote in favor of repealing Obamacare. He also wants to continue his work on improving the education system. His main Republican opponent is Young Kim, a self-made woman with a strong political background, endorsed by Ed Royce. If elected, she would be the first Korean-American woman in Congress. The race between Cisneros and Kim has become one of the closest in recent years. It remains to be seen if Gil Cisneros will eventually win this race, but this is only the beginning of his involvement in the political sector.